The anniversary of MLK’s assassination is a reminder of Dr. King’s remarkable legacy and how his message is both timeless and still so timely today. 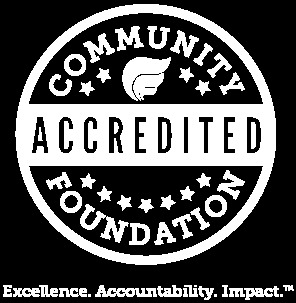 It is one that I often reflect on when thinking about The Community Foundation’s work and of our responsibility to our own community. But this particular anniversary also has special significance to myself and the donors and staff of The Community Foundation who have the opportunity every day to live the legacy of leadership of our former CEO Terri Freeman. For 17+ years, Terri led The Community Foundation’s efforts to advance equity, social justice, and the well-being of all in our community, doing so in ways that were reflective of Dr. King’s own leadership, commitment and vision. We are especially proud of the leadership role Terri now plays in advancing Dr. King’s dreams as the President of the National Civil Rights Museum in Memphis – located at the site of his assassination on this day in 1968. I hope that on this anniversary, you will join us in recommitting to his legacy, and in acknowledging Terri’s lifetime of effort to make his dream a reality.